Last winter, the TAPS crew of Ghost Hunters investigated rumors of spirits haunting Kings Island Amusement Park in Mason, Ohio. As a local resident, I was sure that they’d be looking for the spirit of Tower Johnny, but in fact, they were only interested in searching for ‘the girl in the blue dress’ — the spirit of a 5-year-old girl buried near the park, who died in the 1800’s. Since Kings Island opened in 1972, there have been reports of a little girl in a blue dress being heard and seen in the International Restaurant, and near the White Water Canyon ride. The TAPS team captured the voice of one, perhaps even two, children on EVP, and felt satisfied that they’d communicated with the girl. But what surprised me is that there was no mention of John Harter, or the “Tower Johnny” ghost that is rumored to haunt the Eiffel Tower. As a local who grew up going to Kings Island every summer since it opened, his story, if not his ghost, has always haunted me. I was a young teenager the night John Harter climbed the Eiffel Tower and fell. It was the Friday the 13th, and he was at Kings Island for Grad Night, drinking and fooling around before he fell on top of one of the elevators and was crushed by the elevator weights. At least, that’s how I remember the news. Naturally, as with any gory death that involves a teenager, drinking, Friday the 13th, elevator shafts, and an amusement park, stories grew more and more macabre. But at the root of it the facts remain: Johnny Harter attended his Grad Night event at Kings Island on Friday, May 13, 1983, got drunk, and fell from the Eiffel Tower to his death. Since then, it’s been rumored that his ghost still haunts the place. But TAPS skipped all that. They skipped the death of another drunk woman who fell from a ride. They missed the two men electrocuted in the pond near the Viking Fury, and apparently missed the story of a little boy who haunts The Racers rollercoaster. Instead they focused on the spirit of a little girl who had nothing to do with Kings Island at all. I was a little disappointed and can’t help but wonder why. All I can think is that the Public Relations staff of Kings Island is trying to keep these ghost stories and bad press under wraps. But what they forget is that most of the people who go to Kings Island are locals and already know the stories. As for the rest of the world watching Ghost Hunters, a good gruesome ghost story would have been the best advertising Kings Island could have had. That realization is sure to haunt them. 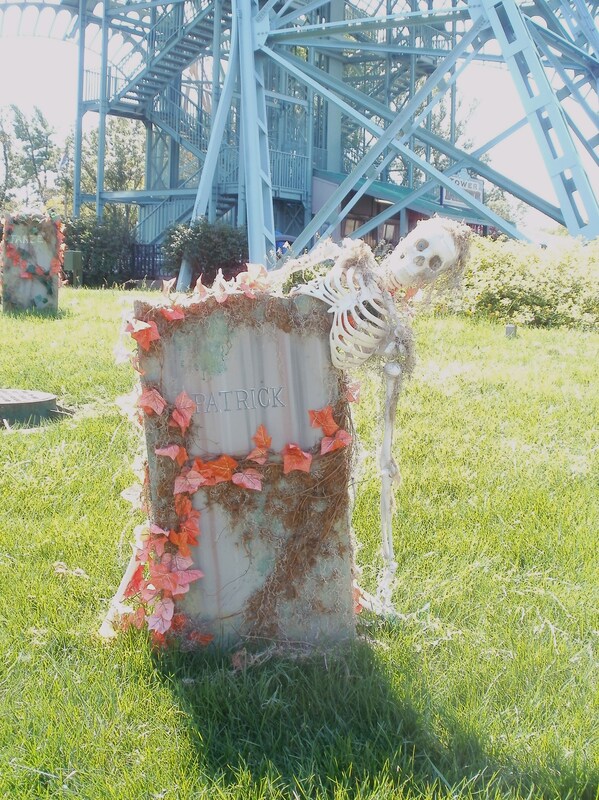 Which Kings Island ghost tales appeal more to you? The ones Ghost Hunters investigated, or the ones they didn’t? This is a really good read. It’s my fave of your posts so far.